Warning: this webinar may involve burning or shredding district planning templates! 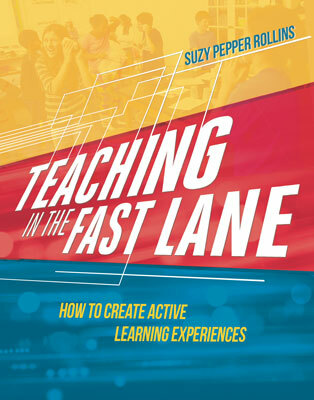 Teaching in the Fast Lane is about crafting lessons that inspire and motivate students to reach their learning targets. The way we plan and implement learning experiences influences work ethic, intrinsic motivation, engagement, and memory. Active lessons are powerful experiences that enable students to learn how to work in a team, become leaders, and think for themselves, all while mastering essential learning targets. Join author Suzy Pepper Rollins in this engaging webinar and leave with structure and strategies in hand—and a renewed passion for the energy that lies in our creative minds. Let's unleash the power of crafting compelling, active learning experiences together!